I support the vision, values and goals of the Headwaters Food Charter and Action plan! "I endorse the Headwaters Food Charter and Action Plan"
If you listed other above, please specify. Only your name will be shown, not your email or town. I consent to receiving email communications from Headwaters Food & Farming Alliance. I can unsubscribe at any time. Are you endorsing on behalf of an organization? 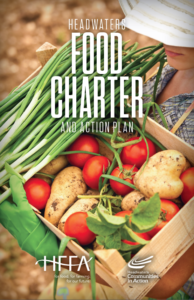 View and download the Headwaters Food Charter. © 2019 Headwaters Communities in Action. All Rights Reserved.| Web Design by: Skorski Web Design Inc.